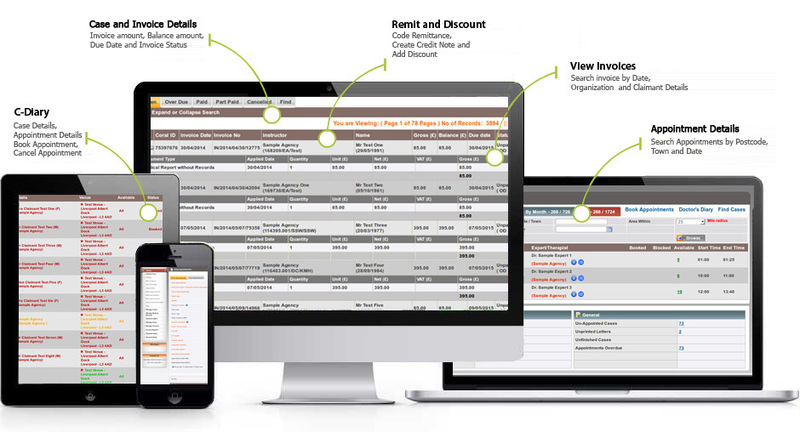 One system for all your Invoicing needs at no additional cost. C-Diary and Coral Reports along with Invoice Management designed to simplify the Claims process. 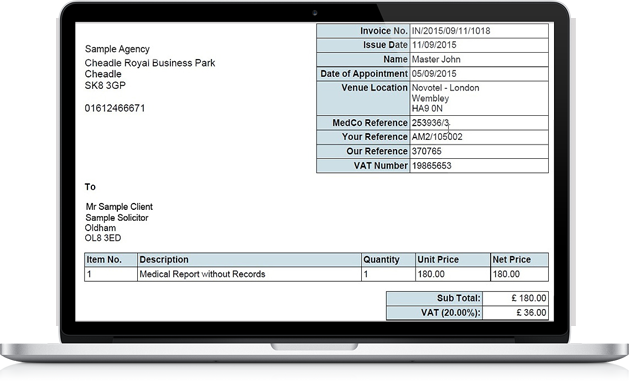 The system has all your needs for a Medical Reporting Organisation and for the Experts and Therapists. Build credit notes, single & multilevel Invoices. Build invoices for Non-Medico legal work. Web-based system – Access it anywhere, any time. We have been using Coral Technologies for more than a year now for our Medico-Legal work. Whilst the software is itself is perfect for our needs, what really sets Coral Technologies apart in my opinion is the outstanding service they provide. No query is too big or too small for the fantastic service team, who without fail, always go out of their way to support our needs and resolve any issues in record time. I would not hesitate to recommend Coral Technologies for any company that is looking for a user-friendly software and outstanding customer service. I have been using coral technology for booking and reporting for more than a year. Before I was using another program which made my work quite difficult. Now with coral, it is straight forward, the clinics are well organised, I can see a lot of clinic date ahead and finally the reporting system is the easiest one can use. Almost everything is pre-programmed in way that error are minimal and to click is minimal. I highly recommending it and I will never be trying to use any other program.